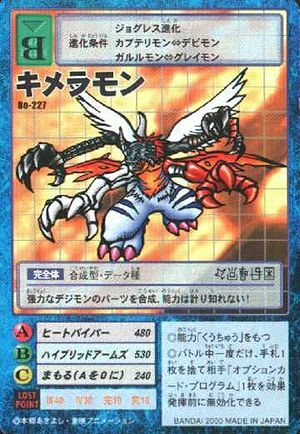 Made from the fusion of parts taken from powerful Digimon, its abilities are immeasurable! ◎Only once during battle, you may discard one card from your hand and invalidate one of the opponent's Program Option cards before it takes effect. This page was last modified on 2 December 2016, at 10:35.